When you fall in love with an artist, you never really know how you’ll be portrayed. If you’re Françoise Gilot, you pretty much hit the jackpot, because your portrait is currently hanging on the wall of the Bellagio Gallery of Fine Art. Luckily for her, she was having a great hair day. “Picasso – Creatures and Creativity,” opened July 3 and is a compilation of 43 pieces of Pablo Picasso’s modern work. But you probably won’t recognize them. That’s because many have never (like – ever) been on display for the public to see before. They are not part of a traveling exhibit, but a private collection directly from Picasso’s estate. You don’t have to know a single thing about art to appreciate the magnitude of an exhibit like this. 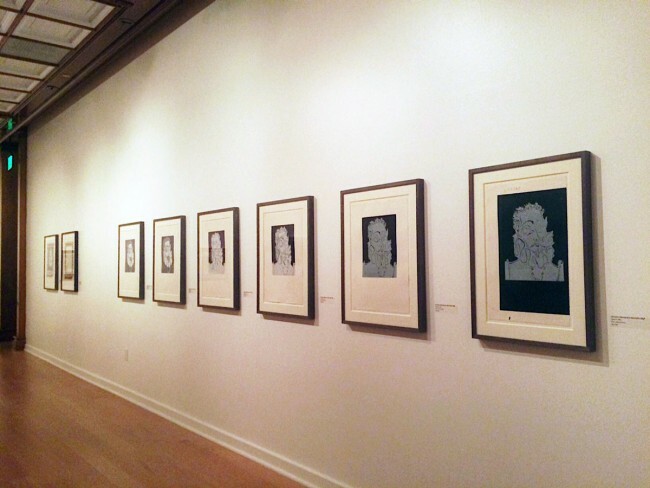 Picasso’s El Greco’s Portrait of a Man with a Ruff, eight stages of a color linocut on display. Tatyana Franck, the effortlessly chic and also muse-worthy director of Musée de l’Eysée in Switzerland curated the Bellagio’s collection. 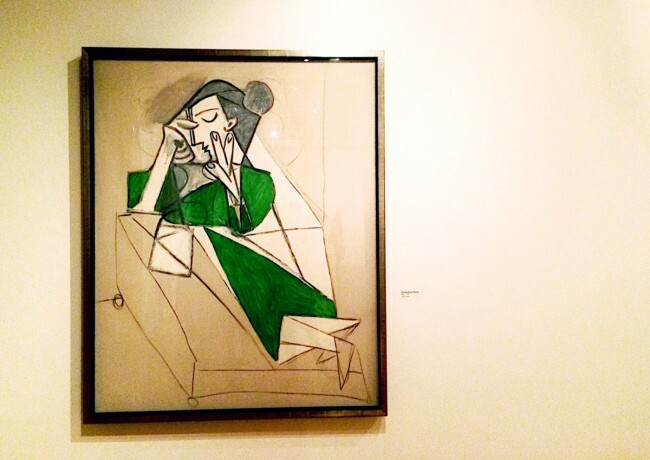 She worked directly with Picasso’s (and also Gilot’s) son, Claude to hand-pick the pieces. Plucked right off the walls of Casa de Picasso, they include lithographs, linocuts, paintings and rare plates from 1938-1971. “Every 10 years, Picasso changed and reinvented the medium, always pushing forward into the contemporary,” says Franck. That medium usually included featuring his love of the feminine mystique. 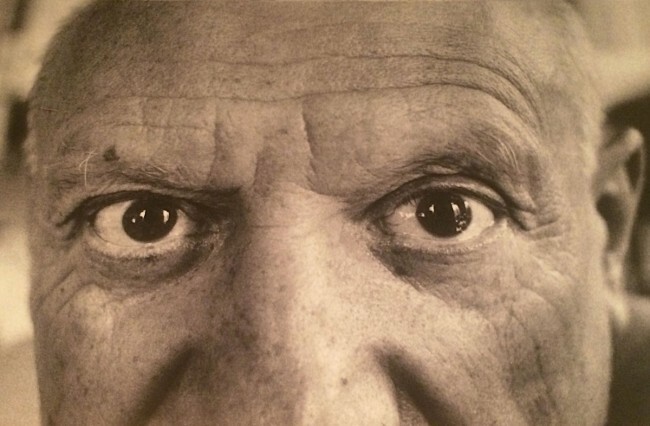 It was no secret that Picasso was a bit of a ladies’ man. He was known for painting the women he wanted to meet. The exhibit also features black and white photos of the iconic artist, his home and his workspace in addition to the deconstructed steps of his masterpieces. This approach gives us a behind-the-scenes view of the inspirations and thought processes behind a man that became a legend. Femme au Collier Jaune or Woman with a Yellow Necklace was painted by Picasso in 1946 when Gilot was a 20-something artist and his lover. She would become his muse and his baby-mama. How many of you can say you’ve been immortalized by a legendary painter?